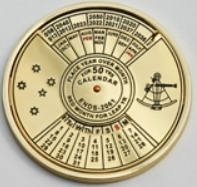 50 year perpetual calendar 63mm diameter. Face displays the Southern Cross and Sextant. Finish is gold plated brass. 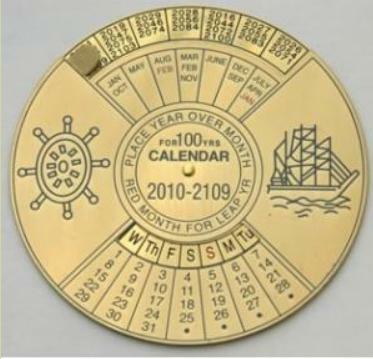 50 year brass perpetual calendar 75mm diameter. 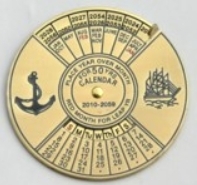 Face displays the Southern Cross and Sextant, mounted in a cast gold chrome plate base.